iData Research, an international medical consulting and research firm, has recently announced the launch of their market monitoring service, MedTrack™. This new product provides medical device manufacturers with customized data of unit sales, pricing, revenue, market shares and growth rates, based on the SKUs of their competitors in almost any medical device market. This new, accurate source of competitor data will allow product and marketing managers unrivaled confidence in their strategy, whether they’re working with disposables or capital equipment. The customization and affordable pricing of MedTrack™ consulting enables greater accessibility to crucial market knowledge for businesses of varying sizes and data usage. In addition to the above metrics, MedTrack™ consulting allows the same granularity for volume of units sold, product revenue, market share and the ability to track growth rates for each over time. This data allows CEOs, marketing teams and product managers to observe the movement of competitors over time and react quickly to market dynamics. As an add-on customization, clients can request further segmentation by region, distributor and facility bed size for a higher level of granularity. MedTrack™ consulting data is collected from a large sample of facilities in the United States, triangulated through iData’s own internal data sets, primary research, procedure data, company financials, and other forms of secondary research, to ensure reliable accuracy. Extensive product descriptions, as well as classifications, allow for data slicing and filtering with ease. Fully customized deliverables provide access to data that is both relevant and desirable. 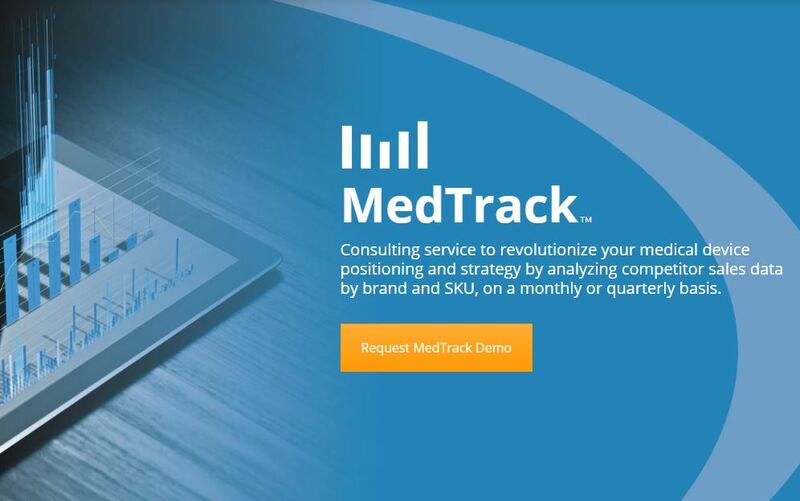 MedTrack™ consulting allows clients to select specific brands, SKUs and segmentation to be monitored and reported on a monthly, quarterly, semi-annual or annual basis. To see what you can get out of a MedTrack™ consulting project, schedule a live preview or learn more at idataresearch.com/medtrack. iData Research (www.idataresearch.com) is an international market research and consulting firm, dedicated to providing the best in market intelligence for the medical device, dental, and pharmaceutical industries. They provide data through syndicated reports and custom research services like MedTrack mentioned above.